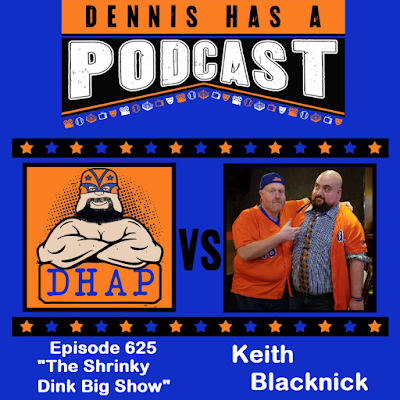 "My good brother Keith Blacknick is back on DHAP Show to talk about our experience at New York Comic Con experience, getting to get some awesome Brian Kong Mets artwork, an incredible Chris Jericho print from @dreadeddinosaur, Dennis getting tongue-tied meeting WWE Legend Christian, all of the awesome things happening at NYCC, which also chatting about our upcoming comedy show, and the upcoming 2019 Queens Baseball Convention! You can follow Keith on Twitter at @mediagoon! Check out his blog at TheMediaGoon.com! Check out QueensBaseballConvention.com, on Twitter at @QBConvention, on Instagram at @QBConvention, and on Facebook at Facebook.com/QueensBaseballConvention!"